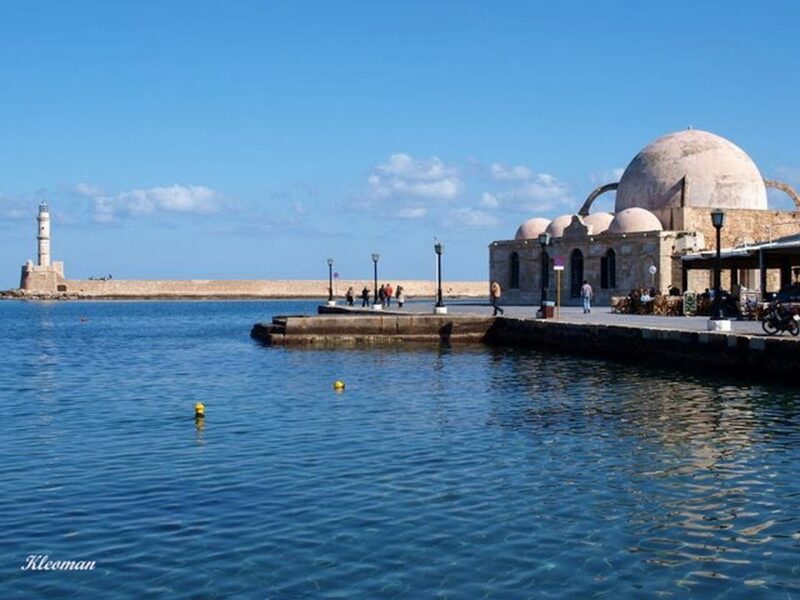 Yali Tzamisi (mosque of the seas) or Tzami Koioutsouk Hassan (in honor of the first Garrison commander of Chania Küçük Hasan) dominates the old harbor and is one of the most famous monuments of Chania. 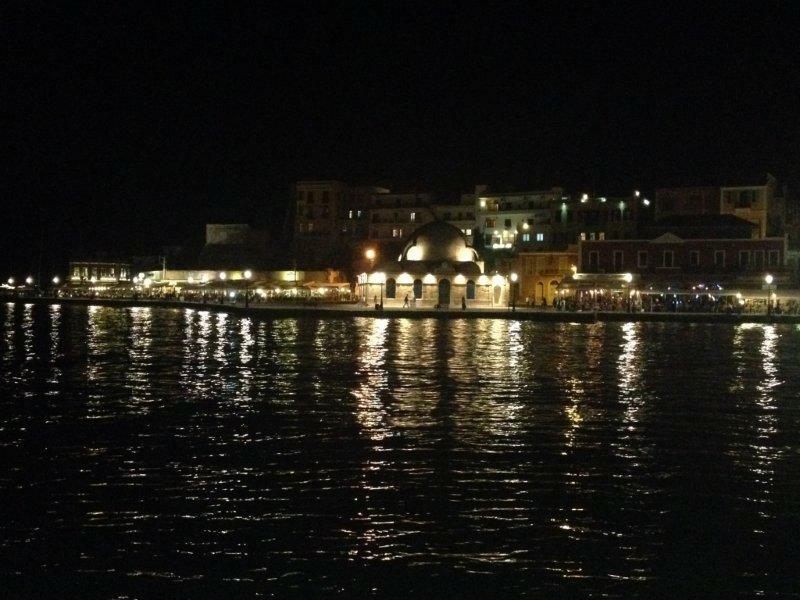 It is the first mosque built by the Ottomans in Crete. 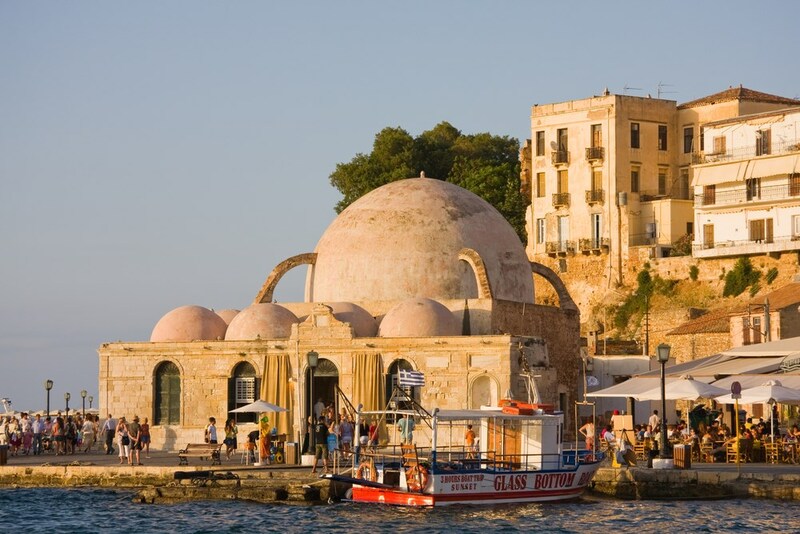 Yali Tzamisi is a cubic building, covered by a large dome, without a drum, which is standing on four stone arches. From the west and the north side, it is surrounded by a covered arcade, on the roof of which seven small domes, also without drum can be distinguished. Yali Tzamisi does not have a minaret, since it was demolished in 1920 (or 1939). 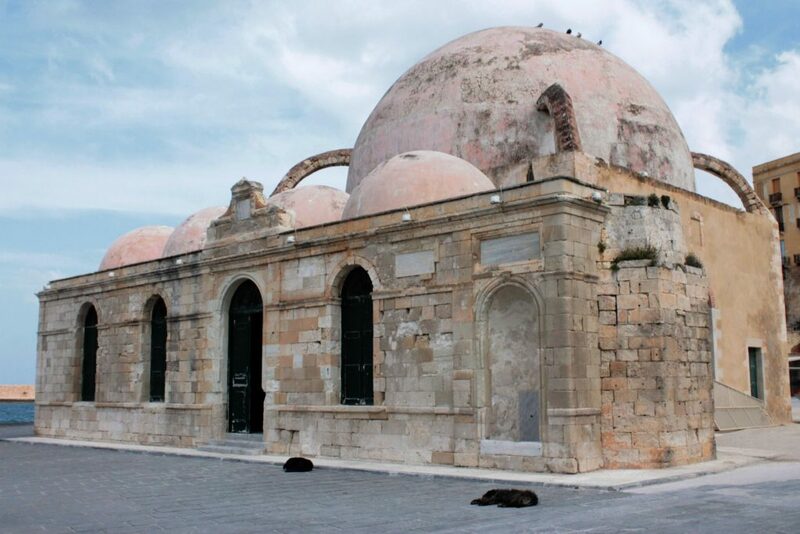 The mosque, a jewel of Islamic art of the Renaissance, was the work of an Armenian architect. In the courtyard of Yali Tzamisi stood palm trees and the graves of pashas and janissaries. Yali Tzamisi operated as a Muslim church until 1923, when the last Muslims left the island, after the population exchange. Occasionally, it has been used as Archaeological Museum, warehouse, folk art museum and today it hosts events and exhibitions. 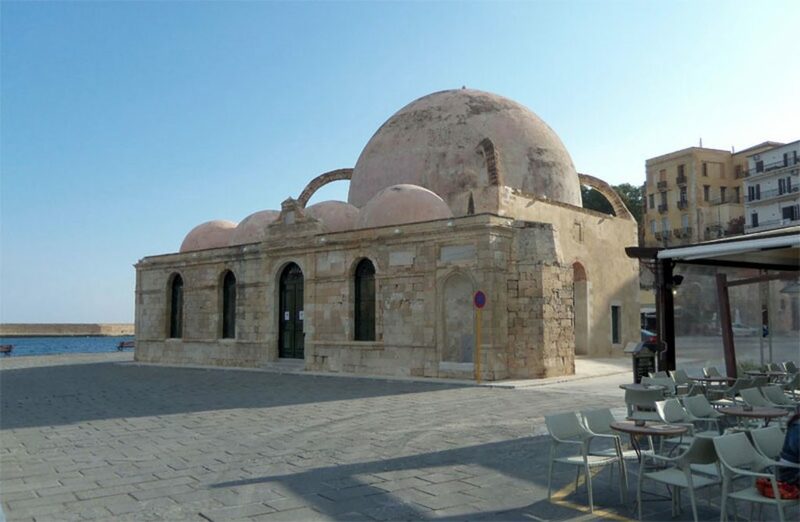 During the maintenance of the floor, the archaeological department discovered that at the current location of the mosque used to be a small Venetian church, which was demolished after the occupation of Chania by the Turks.